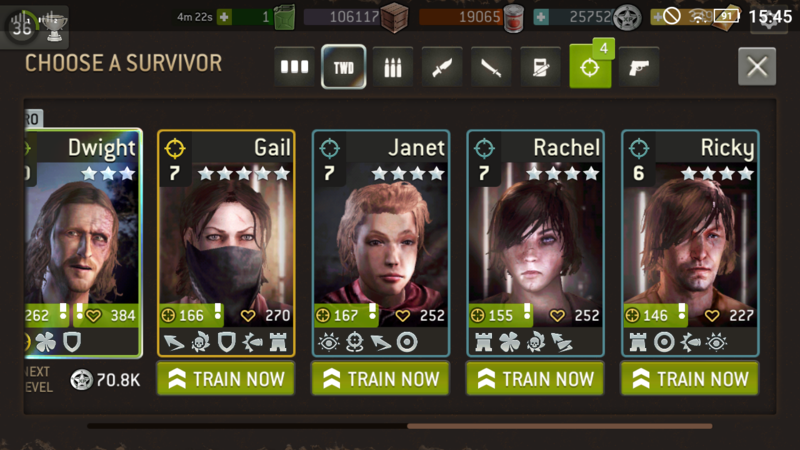 I'm trying to get better at guild challenges but i dont know what survivor worth to invest into. I dont want to waste my points on hunter class which one should i use or at least try to invest into ? what you think ? Janet is nice! 4 decent traits for a hunter! Hello @Keb and welcome to the forums. Traits are a very personal question, and I don’t mean that as in a sensitive topic, I meant many people have there own opinions. A large portion of it comes down to play style and the tactics you use. Also another important factor, imho, is the cast you run with. Do you use 2 hunters and a shooter? Assault, hunter, shooter? Scout, assault, hunter? So, really again in my opinion there is no one perfect solution. I have multiple shooters, scouts, bruisers, assaults, warriors. However I have only one hunter aside from hero’s at this moment because I have recycled the others for tokens to make my one a pink star. I’d like to invite you, if you have not seen it, to check out this Wordpress site. For the purpose of full disclosure, please know it is no longer maintained as the person who created it has stopped playing. I still refer to areas on the site almost daily. Others I’m sure would have different trait suggestions however she suits me well and has been my go to hunter so many times I finally dropped all non hero others to focus on her. You won’t like this answer, however, you will go through many toons of each type as you progress. I’m no expert, having only started in September myself, but it always tears me up a bit when I unlock a better hero and think of all the hours and tokens I’d put into the previous project. What I have come to learn is unless you unlock them at Legendary status, you might always find a diamond or a rock in the last unlocked traits. I know this didn’t answer anything, but I hope it gives you a springboard on which to dive into the game. thanks for the long disclosure shadow personally i swapping my team what the event need more on but most likely i'm end up with Abraham shoter hunter combo in +5zombie lvls or higher due to i can always stun, area crit hit, and hit multiple directions. You are so low level with them keep your 1 legendary until you have 1 that you feel is perfect for you. Don't waste tokens now. 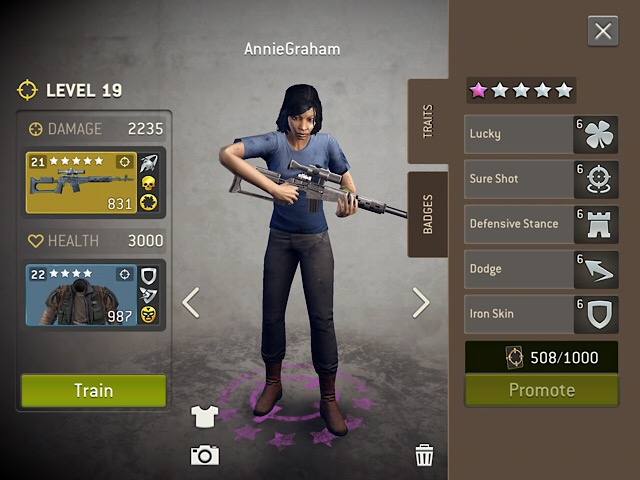 For free advice, you should use some of those tg boxes and buy the 50 token boxes for your current best survivors. My camp is just reached 15 so i need to know what i need to invest in what is worth. I have 1 legenday lvl 14 shooter what i'm intended to keep just need more shooters.